Early Bloomer. 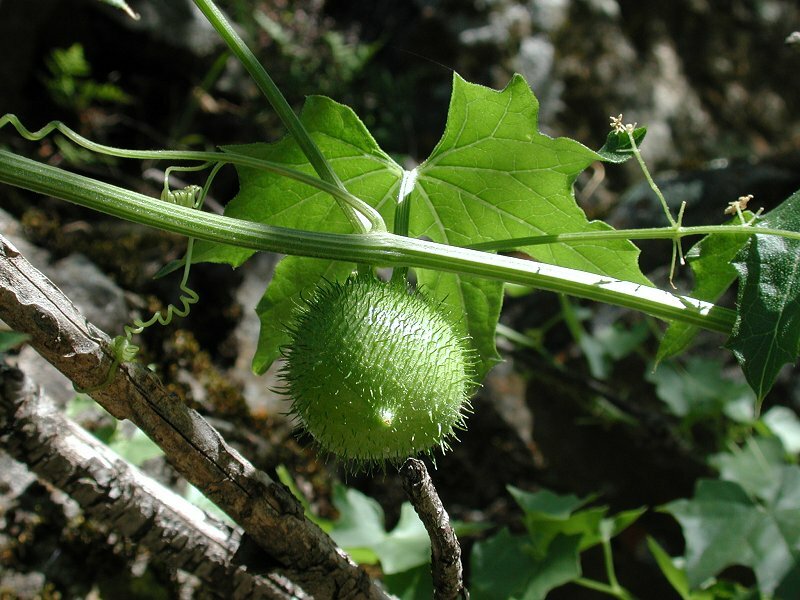 Long vine, 5 petaled star-like flower, round, green spiny fruit, medicinal seeds. Notes: Cucumber (Gourd) family. Also called California Manroot, so named because of the distinctive shape of the large root, which can resemble the torso of a man. 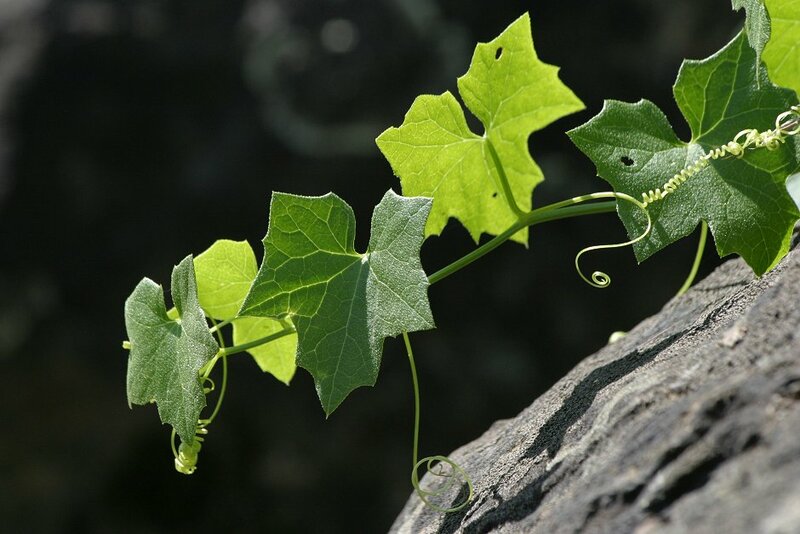 The long, trailing vine (as long as 15' to 20’) with large, 5-lobed leaves, can be seen both downslope and upslope from Buttermilk Bend trail, sometimes hanging from overhead rocks and other shrubs. 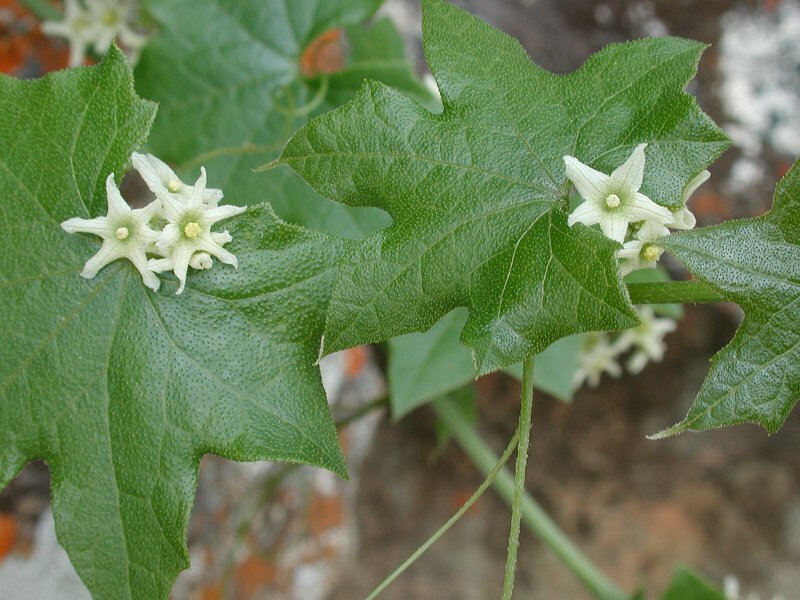 The flowers are small greenish white, after which the fruit appear hanging from the vine. The fruit dries, browns, and splits, revealing almond-like seeds. It is said that the spiny pod develops water pressure within its covering and bursts so dramatically that the large seeds can hurt if they hit you. 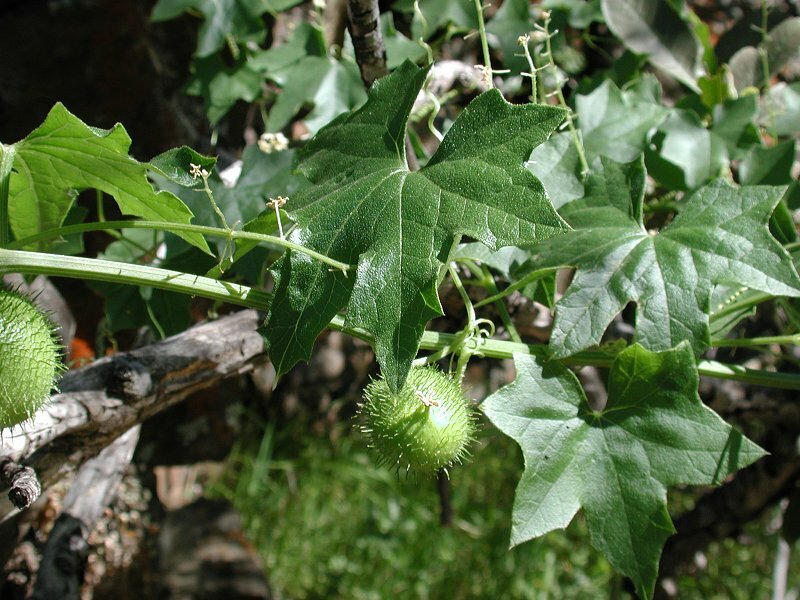 Native Americans roasted them as a treatment for kidney troubles. Oil from the seeds was used for hair loss. Crushed seeds were used to stun fish. A tea was drunk to treat venereal diseases. Crushed roots were mixed with sugar and used on horses for saddle sores.